We’ve gotten a good amount of feedback on our “Escape Room Strategy” series, frankly it proves our theory that smart leaders are using escape rooms for more than just a fun team outing. 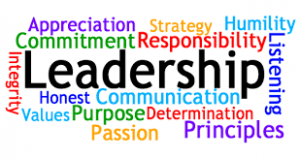 One common theme in the feedback is a question around the need for leadership, specifically is there a style of leadership that enhances the performance of the team? Based on the hundreds of teams we’ve observed we can confirm there is a style and it should surprise no one that it closely mirrors successful business leadership. Compare how these leadership styles match what you’ve experienced at work. To keep this article from becoming a leadership tome I’m breaking the discussion into four leadership types, from worst to best performing. Leaderless – It will surprise no one that the worst performing team in an escape room is a team where no one takes on the leader function or the leader is weak. In this scenario the team either succeeds or fails based on individual talents and random luck of discovery. Teams tend to fall into group think and stay blocked when they hit a significant challenge. It’s rough to watch as teams like this struggle. Execution Based Leadership – It’s common to see one or possibly two people on the team step into an authoritative role. Interestingly it’s not always the person with the highest title, rather usually someone passionate about “beating the best time”, competitive and a strong personality. In this mode, the leader will set the goals, orchestrate most activities, call timeout when the team is stuck, act as the central locus of information, and motivate folks when needed. In the escape room as in business, this model works but is highly dependent on the leader’s skills, her/his ability to forego mistakes, and team’s willingness to buy in to their leadership. No lead necessary – while the previous leadership type does show the best results we would be deficient if we didn’t list one last type. Occasionally ( 1 in ~30) we see a team that has gone through the forming–storming-norming-performing (see link here) steps of team development. The lead has done some masterful work building the team into a highly skilled machine. These teams work together incredibly well, playing to each other’s strengths, calling in help when needed, drawing energy from each other, and enjoying each other. No leader is required and it’s a beautiful sequence to watch. Think back to the original question, how close do these leadership styles mirror your work experience?